Seilers’ Studio and Gallery welcomes back to our stage the Brady Israel Trio. Come hear this incredible jazz sound from 6:30 to 8 pm. David and I have been talking about the up coming Creative Place Making Training at the Pioneer school or better known as PSZ, May 18th. More to come. Remember the Community Nativity Project? Sure you do. 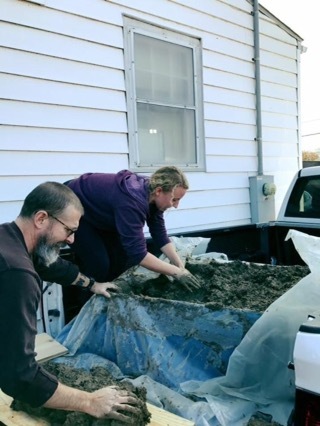 We have 1,000#s of clay for ANYONE! Teachers, artists, any enthusiast who would like. Bring some plastic bags tonight or call the studio or Hillary to make arrangements for pick up. We’re getting ready for First Friday tonight, hot chocolate, wassail, popcorn. Also good art and fellowship. 5:30 to 8:30 come in out of the cold. This past week I had the pleasure of having my friend and former student and mentee come from NYC, Erica Downer to talk about my new works. 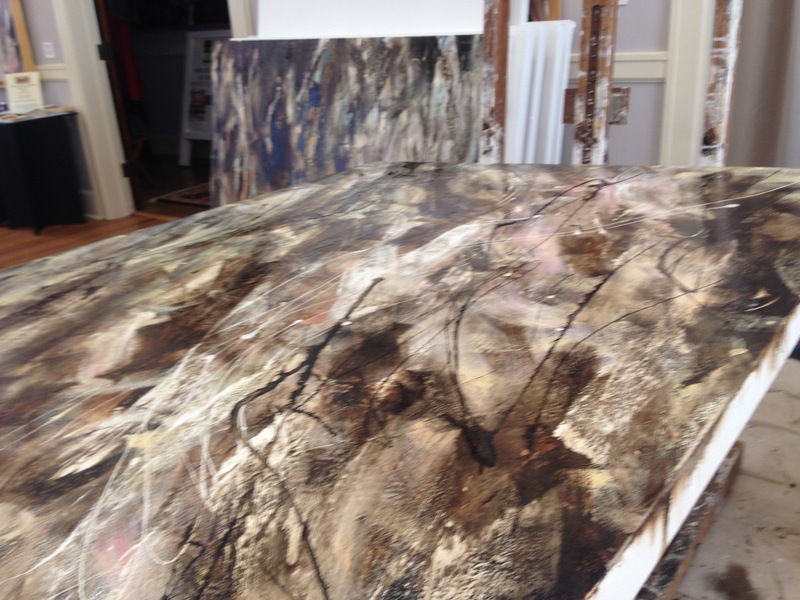 In the pic you can get a glimpse of the paintings set up for acritique. 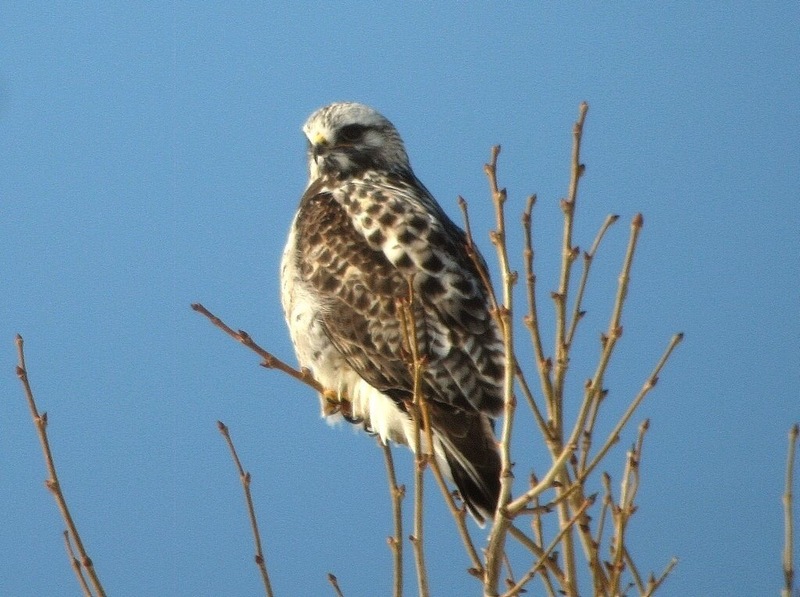 Look what is wintering near our studio, a Talkington Rough-Legged Hawk!!! We are thrilled. They live and breed in the artic and winter in lower US except the South. Until recently we’ve been inundated with sparrows, pooping everywhere. Now they are lunch. This photo is from the Wilds. I’m setting up my camera to get my own photo. Hillary and Doug pulled off a wonderful Christmas experience at the studio this past Saturday evening. 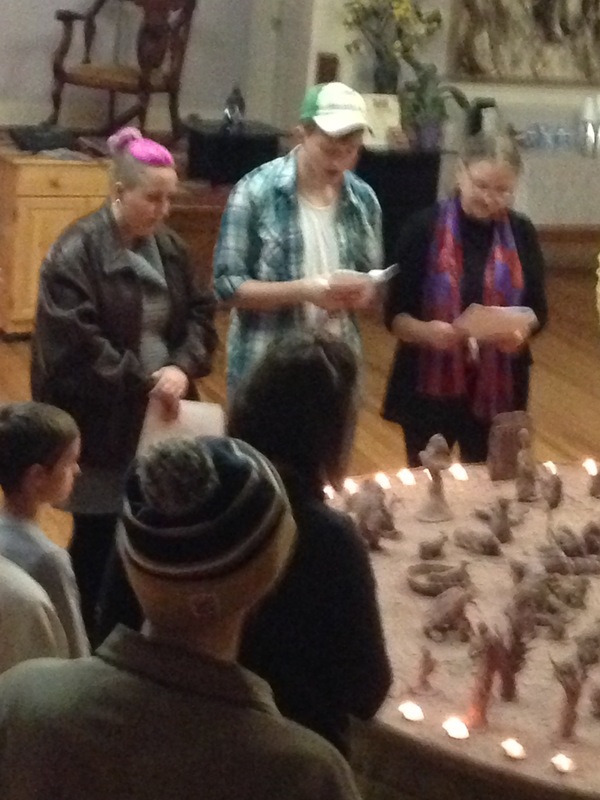 It was well attended, good food, singing, musical performances, great people many had made pieces for the eight foot clay instillation. Thank you all for giving and being a part of its performance. It was truly a community project. 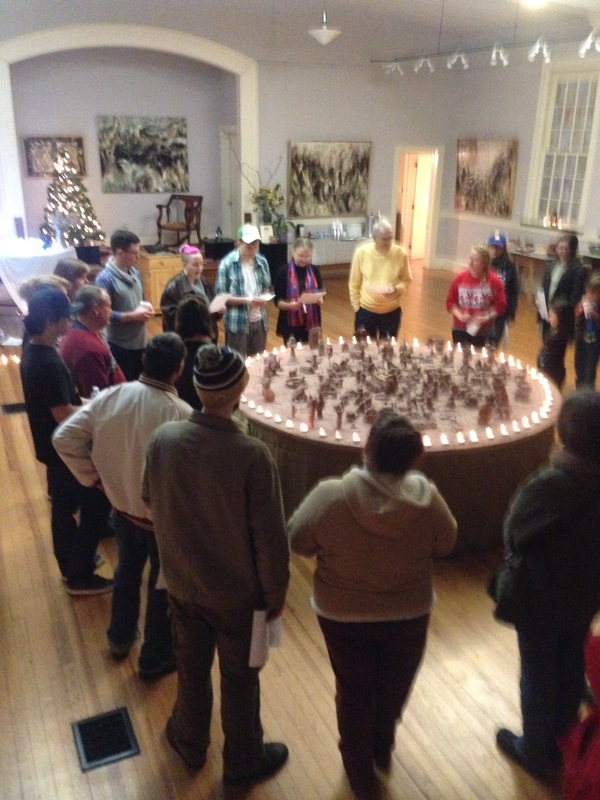 Coming to the studio December 2, 3, 10, & 17: community nativity project. 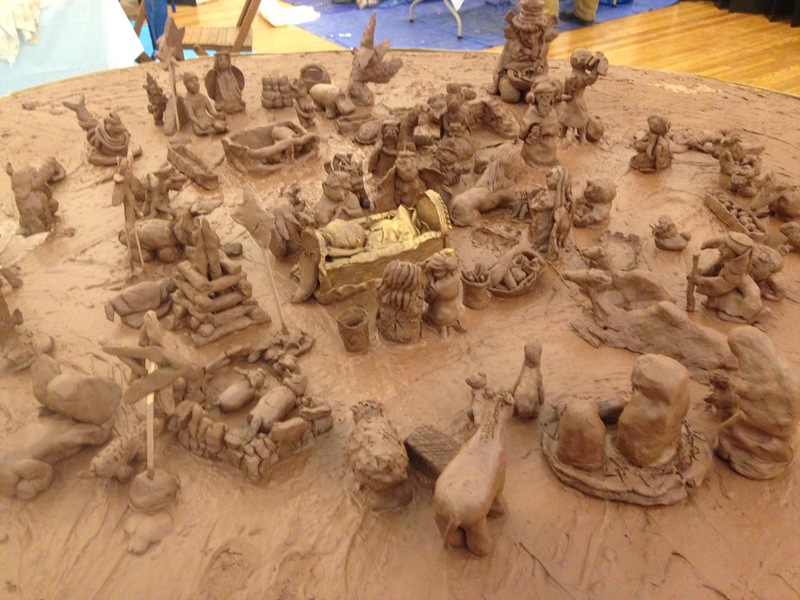 Everyone is invited to help make a piece of our nativity in clay. 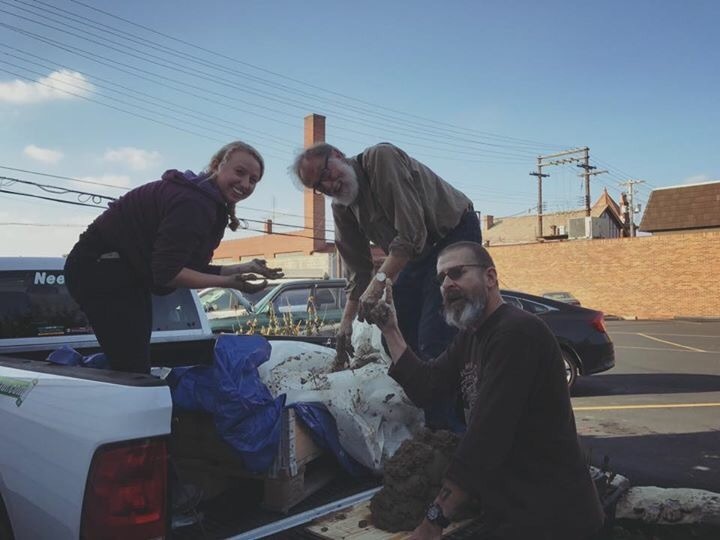 Here we are unloading 1,000 pounds of clay.